Do you struggle to keep your employees motivated? 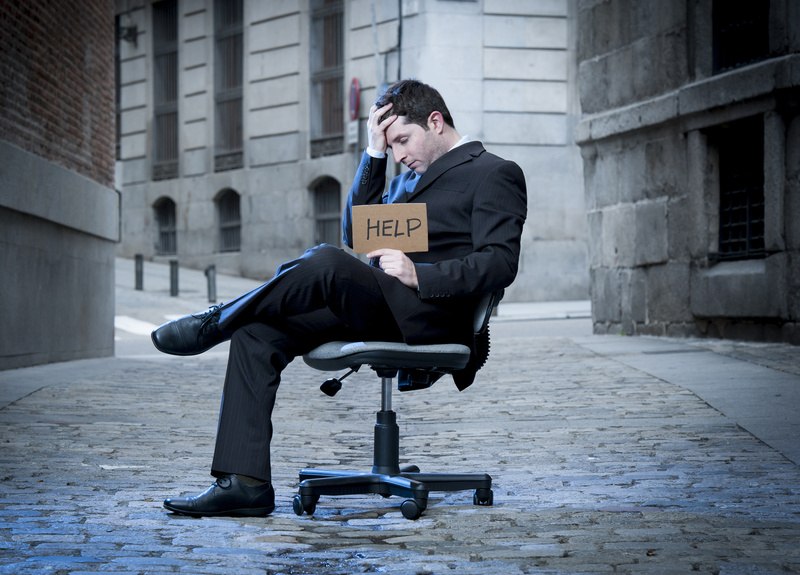 Are you experiencing excessive employee turnover? Are you getting frustrated with the performance, quality and attitude of certain individuals on your staff? There are 3 key areas that can greatly improve employee effectiveness and help to keep your staff motivated, productive and happy! Have clearly defined “Core Values” for your business: Employees will generally act and behave in accordance to the overlying principles and values of a business. Keeping your “Core Values” visible and frequently sharing them with your staff is good practice and leads to effective team leadership. Defined roles, goals, job descriptions, processes and procedures helps alleviate confusion and keep everyone on track! When employees know with certainty exactly what is expected of them, they tend to take more ownership and pride in their position and it reflects in their positive performance. When they lack clarity around what’s to be expected of them they will typically underperform, and sometimes this also results in other issues like “passing the buck”, blaming others or complaining about not being given clear guidance. We all know the power of effective communication, and having clearly defined roles and processes will ensure an effective business system and happy and productive employees! Encouragement and Appreciation truly creates a positive atmosphere and also make each employee feel valued, important and happy. People who are feeling good about what they do and feel appreciated for their service will generally go the extra mile to get the job done! They enjoy coming to work and speak highly of their boss and company. If you are looking to build a strong effective team that will carry your company forward into success…don’t be reserved or shy about dishing out some gratitude and appreciation! Your employees will love hearing it and they will continue to improve their attitude and work performance….resulting in increased production, happy employees and positive business growth! Buyers, you have so many people trying to get your money. In many situations you need to pay for flights to visit the business, pay for an attorney, pay a CPA, pay qualified professionals to inspect equipment…the onus is on you to ask for information during a purchase, verify the information and hope that it is accurate. But that may not be it. Below are examples of other true instances you may have to worry about – but should not have to. It can be pretty easy to manipulate the value of a business by selecting the similar sold businesses that best fit what you are looking for. Recently a broker sent over pizza shops that had similar numbers as to the one they were looking to purchase with just one catch; the sold business comparables were from 2004-2006, but the dates were not revealed to the buyers. Much like the real estate market at that time, businesses were selling for much higher multiples. If they had not searched for a 2nd opinion they would have highly overpaid for a business. In Florida I deal with many buyers from different countries looking to purchase a business on an E2 Visa. It may be a more time consuming process to buy a business for an E2, but I had a seller’s broker all but refusing to show their seller an offer from my buyer because they had no idea how the Visa process worked. Would you want to fight with a broker to actually buy a business? Recently a situation arose where the property manager decided to wait until days before closing to unreasonably withhold the lease. He suddenly asked for a very large transfer fee and raised the rent a couple dollars per square foot. What would you do in this situation? A bad broker would give in; their buyer’s broker had advised them to sign the lease. I represented the seller in this instance, but after reading the lease and a little assistance from a good attorney the situation was resolved. An agreement is finally made and it is time for due diligence. Now the broker asks for a $3500 deposit to do due diligence and tells you it is standard practice. Does this sound believable? Maybe to a few, but your business broker should not be charging for additional services under most circumstances. For this small of a business a CPA would have done it for a fraction of the price. I received a call from a local closing attorney that we use for many closings and he asked what the typical protocol for licensing was. After a few questions I was asked “why are your closings always so smooth?” and I had a feeling I knew what was happening. We have an on staff licensing expert who will pull all applications with detailed instructions to get licensing and provide this information at the time of contract. We walk everyone thru the process and assist with questions or we refer out to an outside company that will do it for you. Unfortunately for the buyers in this situation this particular broker gave no mention to licensing and the attorney found out 2 days before closing. Would you rely on advice from a professional business broker? Better make sure you have the right one. I received sad call form a gentleman that was advised to purchase a high volume deli on the persistence of their broker. He told me “the books were cooked” and he was “sold” the business by the broker who rushed him through due diligence. He asked me my opinion of value and unfortunately it was nowhere near what he paid. Make sure your broker knows the market, can justify the price – and that you are allowed the proper time, information and tools to do proper due diligence. As a buyer you will want to keep as much of your money as possible and focus on purchasing the right business, so you will need to call a great broker so you can relax. If you do not, you may need to watch out for many different traps and overcome not only these issues but potentially many others. You have finally made the big decision to sell your business. Ideally you are in a great position and you have the 6 to 12 months or more necessary to market and sell – but that is not always the case. It is extremely important to be honest with your broker. I am not here to judge. Your honesty gives me the information necessary to properly market your business and the proper pricing to meet your required timeline. Two recent examples come to mind. With some upfront knowledge of the situation, we may have been able to properly structure and sell the businesses in these cases. #1 – We accepted a listing for a retail based business that appeared to be profitable. I conducted our selling interview, did a proper evaluation, and gave my opinion of value and average sale time. As always I asked the time frame to sell and if there were any extenuating circumstances I need to know about, and the answer that followed was “no”. A few months into the listing I started receiving pressure to sell the business quicker than anticipated. After several discussions it was revealed that the business had not paid rent for months due to the seasonality of the business and several other personal factors. It’s a very attractive business to buyers and there is not a question that I could have sold this – but within a few weeks of being notified of the rent situation I was told the landlord was looking to take the location back. If I had known this, just as an example, we could have approached strategic buyers and may have structured an earn-out, a note or several other ways to get the landlord his money and a new tenant. The seller would be walking away with some funds, future payments and security in all of the collateral. Unfortunately that was not what happened and the seller had to walk away from the business. #2 – Another business owner was looking to sell and move out of the area. Florida is transient, so as always this was a reasonable response. Fast forward several months – the seller had filed for personal bankruptcy. By not informing me of the situation we went ahead and located a buyer, but were unable to complete the sale because of the bankruptcy situation. If I had known I would have given the seller the simple advice to discuss the timing of a sale with their attorney. We would have been able to sell and they would have been able to move on. 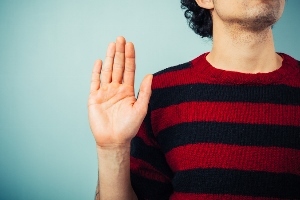 These are clear reasons why you should be upfront and honest with your business broker. We are here to make sure we assist you in reaching your goals and knowing your situation is going to allow us to price, structure and market your business properly. Many business owners never think about the fact that someday their business will either close or be owned by someone else. As a business owner, this eventuality can be difficult to think about, but it is absolutely necessary that you consider your options. If you don’t want to end your journey as an entrepreneur by closing the doors, then selling your business needs to be something you think about as early as the day you open. What can happen if you don’t plan ahead? Unfortunately many business owners end up having to sell because of unforeseen reasons, and they usually need to sell suddenly. The bad news is the average time it takes to sell a business is somewhere between 9 and 12 months, so if you are in a big hurry to sell you might be out of luck. 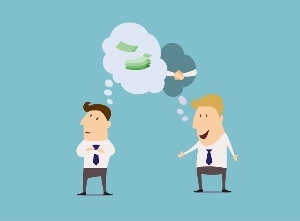 We have seen business owners who were forced to sell because a death in the family forced them to immediately relocate to another state, because the business became a contested asset in a divorce, because of a major health issue within the owner’s family – there are many reasons why an owner might need to suddenly sell their business. While it would be impossible to plan for every possible eventuality, a business owner can plan ahead to ensure they get the best return on their investment. How? Talk to a business broker today about your long-term plans for your business. They will be able to give you advice on how to best ready your business for sale, how to make small changes that will boost your numbers so you can get a better price and how to make your business visually appealing to prospective buyers. If you think that selling your business is something that you would like to do sooner rather than later, then talk to an experienced and qualified business broker about how to ready your business for sale and how to plan for the best time to list your business on the market. Are you a seller who has never really thought about your end as the owner of your business? Are you curious about what time frame you would be looking at if you needed to sell? Ask us! Please feel free to leave us a comment or question here, and we will be happy to help. If you are considering buying a business, you may have looked at prices of local businesses during a cursory search and wondered how you would raise the funds to buy one. In the vast majority of small business sales seller financing will be involved, which is great news for business buyers. Seller financing happens when when the business seller finances a part of the deal, essentially loaning the buyer a part of the purchase price. 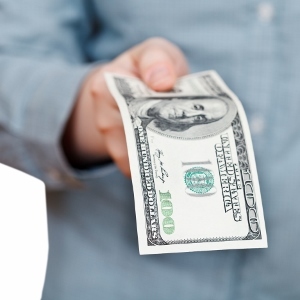 Why does a buyer need to consider seller financing? Many buyers who are new to the business market initially look for traditional means of financing, like a loan from a bank. Unfortunately banks are often unwilling to finance small business deals. Why? A bank typically only lends money if they are sure they will be repaid and if there is collateral equal to the amount loaned they can take possession of in the event of a default. A house fits this mold quite well, as a home buyer must prove steady income before getting a loan and the house itself will serve as collateral because the bank can sell the house without having to take a loss (because the home will not lose value simply because the ownership changed). This is not the case with a small business. When a small business changes hands, in the eyes of a traditional lender the very experienced management/ownership is being replaced by new (and therefore inexperienced) management/ownership. In addition, the value of a business is not just found in the tangible assets alone, so a bank would not be able to recoup any losses by selling the business if a new owner defaults on their loan. What this means for the business market is traditional financing is highly unlikely, so if a business seller wants to get a deal done they can either wait for the ever-illusive all-cash offer, or they can offer to finance part of the deal. What does a deal using seller financing look like? The answer is it really can look like almost anything. Typically the buyer must come with a substantial down payment, and the deal is structured so in the event of a default on the financing, the seller takes back the business. Many seller financing deals also include provisions where inventory must be kept at a certain level (so the seller wouldn’t have to replace the inventory after taking the business back). Why is seller financing great for buyers? First and foremost, it allows buyers to buy businesses that would be beyond the reach of those without a substantial amount of cash. Second, it forces a seller to keep some “skin in the game”, meaning the seller has a vested interest in keeping the business going and profitable long after the business changes hands, otherwise they won’t get paid back. Sellers who are willing to offer financing will typically be much more helpful for a new owner with regards to training and motivated to build the business with an eye on the future. If you are a buyer interested in looking at businesses where seller financing is an option, talk to your business broker. They will be able to find a business that will fit with your goals. Are you a buyer who has more questions about seller financing? Would you like to know what a seller financing deal would look like for you? Please feel free to leave us a comment or question here, and we would be happy to help. Many first time business sellers think that selling their business will be a walk in the park, so why would they pay someone a commission for something they can do on their own? Most entrepreneurs are very smart people, and they are great at running a business – but running a business and selling a business are two completely different animals. The selling process is complicated and full of possible mistakes that could end up costing an owner far more than they would ever pay in commissions. There are even mistakes that could end up destroying your market share forcing you to liquidate your assets and close the doors. The best way to get the biggest return for your investment is to employ the services of an experienced and knowledgeable business broker. Why? The most important thing a business broker brings to the table that you absolutely can’t do for yourself is a business broker has the ability to confidentially market your business. Why is this worth paying for? If you are a seller trying to sell your business on your own, how do you find buyers? Maybe you put a sign in the window, put an ad in the paper or online, maybe you ask around to try to find a buyer by word of mouth. Another way you might try is having your real estate agent put your business into the online listing service. The real estate agent who sold you your house will go about selling your business the same way. They will take pictures, get a quick business synopsis from you and then broadcast that information on listing sites and to everyone they come across. All of these methods to find buyers are very dangerous to both the future and saleability of your business. When the whole world finds out your business is for sale a litany of bad things can happen. Your entire staff could quit and take all of their regular customers with them. Your clientele might go elsewhere as a business for sale is often perceived as a business one day away from closing it’s doors for good. Vendors may cancel contracts or your competition will use the information you have broadcast about your business to move in for the kill. All of these scenarios mean your business will lose money, staff and customers. Hopefully they don’t also mean such major losses that you are forced to close the doors. How do you avoid this? Enlist some help. A good business broker will put together a comprehensive marketing package and confidentially list your business with multiple business listing sites. They will make sure buyers who are interested in your business are capable of buying your business, are not just fishing for information and have signed the appropriate non-disclosure agreements (that will enforce legal repercussions if a prospective buyer discloses your business to anyone they shouldn’t). All of these protections will ensure you business sale stays confidential and your business stays protected. Are you a business seller who has tried to go it alone? Do you have more questions about what a business broker can do to help get your business sold? Ask us! Please leave us a comment or question here, and we would be happy to help. When you started out as an entrepreneur, the end game of your business was probably the farthest thing from your mind. Perhaps you are nearing retirement, perhaps the pinch of the recession got you thinking, perhaps you have a looming personal issue that will require your full attention – whatever your reason for thinking about selling your business, your foremost thought is likely how you will get the highest selling price possible. You have devoted countless hours, reinvested in your business and pushed through tough times to make the business what it is today. When you sell, all you are looking for is a good return on your investment. How do you get the best return on your investment? Plan ahead. An exit strategy should be in place for every business from the very beginning, but if it isn’t, now is as good a time as any to make one. Think about what you want to get out of your business when you sell and what timeline would be ideal. How long would you ideally like to own your business? Is there a number in your mind, as far as sales or net income, that once you’ve reached you would be ready to move on? If you have goals and milestones in place, it can be a much easier decision to sell once you’ve hit those goals. Then you also need to make a game plan for a timeline that is far less than ideal – the emergency sale. What is your plan if you or a business partner is forced to leave the business for personal reasons (like an illness, a divorce, a family emergency)? The best way to be prepared for an emergency sale of your business is to always be ready to sell. Keep your financial records in order, keep the business in good repair and keep the business clean. 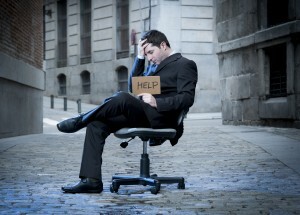 If you are always on top of the things that a business sale would require you to do (gather all business records and financial documents, fix broken equipment, have the business cleaned so it can be shown to prospective buyers), then you won’t have to try and contend with all of those things during whatever emergency is causing you to suddenly sell. The most profitable exit strategy is just having an exit strategy from the start. Take some time to figure out when and why you would sell under the best conditions, and then also stay at the ready for the possibility that you might have to suddenly sell. 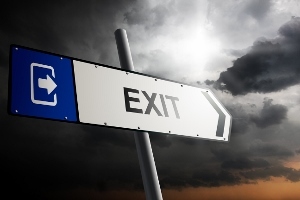 Are you a business owner who doesn’t have an exit strategy? Do you want to know more about what time is the best time to try and sell? Ask us! Please leave us a comment or question here, and we will be happy to help. Do You Have SMARTER Goals? Ok…you’re probably already familiar with the term SMART Goals which were originally created back in 1981 by George T. Doran and made famous by Peter Drucker’s “management by objectives concept” and are now used by thousands of companies and individuals all over the world. However, have you heard about the “ER”? No, not the primetime medical drama TV show that came out in the mid 90’s. This “ER” stands for Emotional Response and it’s what truly makes Smart Goals…SMARTER !!! All goal achievement is an energy game. In order for us to maximize our energy moving forward we need to be excited about the process of creating goals as well as the process of seeing them through. Additionally, our goals should be in alignment with our dreams, desires and values, as well as we should believe that we can achieve them in the time that we specify. If not we will have an internal energy and resistance that will work against ourselves and our goals. We all need a definite target to aim at and the more specific we can describe our goals, the more real they become in our minds. Like Buckminster Fuller’s famous quote “Clarity is Power”, our detailed descriptive desires and goals deliver a clear message to the universe. Additionally, as we become more specific as to what we want we are more apt to see it as already happening, and therefore increasing our energy, expectancy and excitement. Coming up with descriptive qualities like: quantity, size, dollar amount, color, specific features, etc. will help to hone in on a clear mental picture. However, do not try to force specifics if they are not already part of your natural desire. Arbitrarily making things up or even using someone else’s desired specifics will tend to back-fire the process, thus making you feel as if it’s not your desired goal. If you can only come up with a few specifics…good enough. Overtime, as you engage in the process or writing your goals and contemplating them, you will begin to have inspirations of how you wish to tweak you desire. Also, as you share and reflect your desired goal to another positively minded person (one who sees it possible for you) you will start to articulate it in a way where new specifics will be born. Do you have a way to measure the progress towards the goal? Can you break it down into smaller more mind-conscious segments of time? For instance many of the sales professionals that I’ve coached find it very beneficial to measure and track a yearly sales goal by the month, week or even day. Additionally, sometimes it’s easier to focus on tracking and measuring the activity that attributes to the result of the goal. Using the sales example again, when we know what kind of activity needs to be done as well as how much of that activity will result in our desired sales, we can easily formulate, measure and track the process. Writing down our goals in such a way where we can easily track and take score, we become less overwhelmed and the task of goal achievement becomes more believable. Additionally, it easier to stay focused and on task, and as we see the tracking of our progress it raises our energy with the sense of accomplishment thus creating even greater momentum. The trick is to break it down into “excitable and believable chunks”. Your goal should be just outside your comfort zone yet not too far out that it becomes hard to believe. Obviously it should push you or challenge you. If not, then it wouldn’t truly be a goal…it would simply be a managed task. As I had mentioned previously, the process of achieving goals in an energy game. Therefore even if you have the desire for the goal, if it doesn’t feel possible, you will lack the energy and drive necessary to push through and achieve it. For instance if you set a goal of wanting to earn $500,000.00 over the next 12 months, and yet you are currently only earning $50,000.00 a year you will have a slight disconnect in believability and which will make it difficult to achieve in the time allotted. However, if you changed your goal to achieving $75k or $100k over the next 12 months, and yet you are currently only earning $50,000.00 a year you will have a slight disconnect in believability and which will make it difficult to achieve in the time allotted. However, if you changed your goal to achieving $75k or $100k over the next 12 months your subconscious mind would be more apt to believe it and therefore you would be more apt to produce the energy and outcome to make it so. Is the goal in alignment with your dream and your values? Many times we find ourselves setting goals without really asking ourselves “Is this going to get me closer to my grander dream or purpose?” or “Do I really want to achieve this or is this somebody else’s desire?” To insure it’s relevancy we must listen to our heart and live from our true authentic self. If we fail to clarify what truly matters for us, we will find that we will lose interest in achieving our goals. Furthermore, if we are doing something that is out of integrity with our inner values we will also eventually find discontent. However, generally speaking a moderate or short term period that is slightly out of alignment with values may be enduring for the desire of a greater dream. For instance if one of your values was “time with family”, and yet you had to sacrifice such time in order to complete a course or degree, you could reasonably endure this sacrifice for the greater good of both you and your family. However, if you were working a job that demanded a lot of your time and kept you away from your family, sooner or later you will find yourself unhappy and desiring to change. Therefore it is always important when setting goals, to make sure they agree with your values. Also, if you’re working for someone else or within a company, your goals should be relevant to that company’s mission and be in alignment with the company’s greater goals. As important as time is to setting a goal, we don’t want to create a condition where our energy works against us. It needs to be somewhat reasonable and believable for us to be inspired to take consistent action. Also, if the time frame is projected too far out we seem to lose touch, interest and desire with our goal. So, selecting the proper time-frame is essential to create the optimal mental conditions that go with ease of achieving the goal. Too soon, we get stressed-out. Too distant we lose drive. 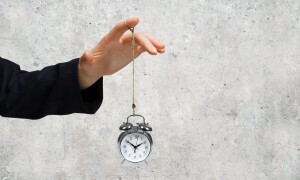 Therefore, as mentioned in the section on “measurable goals” it needs to be broken down and expressed in smaller “measurable” components of time so we can stay actively connected with the process. A good habit to get into is to create a timeline backwards from your desired goal, writing down the actual steps of what you need to do with a desired date next to each step. This will not only help you understand what needs to get done, it will also create a mental picture of your goal already being done. One of the most important and quite often overlooked aspects of goal setting is how does it make us feel. Since the universe responds to how we feel, it is important to make sure that we maintain both desire and belief. If at any time in the process of pursuing our goals if we find ourselves in doubt, if we believe it is hard, if we feel undeserving we will produce an energy that is non-conducive to the manifestation of our goals. Therefore, along with all the traditional goal setting methods, we need to also practice seeing and feeling as if we have already achieved our desired outcome. If a certain job is your desired goal, practice visualizing yourself as already doing that exact job, see yourself receiving pay for that job and feel the feeling of joy and gratitude for actually already having that desirable position. Do this often, because as you do the universe will begin to act on your thoughts, emotions and beliefs and soon start revealing a reality that matches up with your vision. Do you keep your goals top of mind and think of them often? When someone asks what your goals are can you articulate them quickly and easily? Too often we write our goals down and then we completely forget about them. They are in a journal tucked away somewhere or hidden in a spreadsheet somewhere on your computer’s hard-drive. The best thing we can do is display them somewhere where we see them daily like our bathroom mirror or refrigerator. We can even keep score by tallying the number of hours, earnings or tasks and also by checking off each step toward our goals. By having our written goals “in our face” and using a method for measuring our process, we will soon create the energy and momentum of positive progress. We see this one all the time. A buyer walks into a functioning (and profitable) business and decides that they want to make changes – big changes. They bought this business because it had some potential for growth coupled with a fairly successful track record. They gut the infrastructure, they completely remodel, they toss out all of the old operating procedures, they expand. In less than a year they are completely belly-up and have to shut the doors. What happened? They got too big for their britches. We mean that as a new business owner, you need to be very careful about decisions that will drastically change the functioning business you bought. The reason the business is functioning is the current methods work – so instead of fixing what isn’t broken you will need to take some time and figure out what you should change before you change anything. Here’s an example. If you bought a restaurant that serves pizza but hasn’t been turning the best profit, you shouldn’t change the menu to burgers and redo the decor to try and increase profits. You should spend some time figuring out why the profits aren’t where they should be. In this example, the reason the numbers are down is because the grumpy long-term staff have been driving customers away. Your new menu and fresh decor will only make the problem worse by driving away the faithful regulars who were willing to put up with a grouchy waitstaff. All this business might need is a new set of employees, not a costly remodel. Here’s another example. If you bought a small but profitable manufacturing business with the goal of expansion, you probably shouldn’t spend a small fortune expanding the manufacturing facility as soon as you get the keys. In this example, the reason the company is profitable is because they have stayed small. They are able to fill the niche they are in without the major overhead that a much larger facility would require. By spending a few months understanding why the previous owners never chose to expand, you can save yourself the horrific and expensive failure of a facility too large to be profitable. The lesson here? Don’t try to go big without understanding why going big hasn’t happened before. Learn from the mistakes and the successes of the previous owner before you try to implement any big changes of your own. Are you considering buying a business and you have questions about what you should and shouldn’t change? Have you bought a business in the past and made too many changes too soon? Please feel free to ask questions or share your experiences here! The Commercial Lease Assignment And the Big Bad Landlord! A vast majority of business sales do not involve the sale of the underlying real estate, nor does the business even own the underlying real estate. Instead, most businesses lease their commercial space, and the sales contract provides that the Buyer must negotiate an assignment of said lease. While you may believe that this is a simple formality, you would be very surprised how many deals are held up by the failure to timely obtain an assignment. In fact, I find that landlords can be downright reluctant to approve an assignment of lease, as they are very happy accepting monthly checks and carrying on without disruption. More commonly I am amazed by the sheer incompetence of the Landlord’s property manager. It seems that most property managers approach a request for an assignment like Americans approach payment of their income taxes. Wait until the last minute, and then request an extension. So the best advice is to act quickly. First things first, request a copy of the current lease and all modifications thereto. Find the provision that controls assignments, and determine the standard for assignment. The standard for assignment will range from very restrictive to non-existence. Sometimes landlords will maintain complete discretion in approving the assignment, which means that they hold all of the cards. There is not much you can do under those circumstances, but play nice and be cooperative. In other rare instances assignments are freely permitted. If that is case, pat yourself on the back and consider yourself lucky. However, in most deals I find that the parties must first seek the landlord’s consent, which must not be unreasonably withheld. This means that that landlord gets to approve the new tenant, and will likely want someone that is equally qualified and as financially sound as the exiting tenant. In order to make this assessment, the landlord is going to want to see financials. Do yourself a favor and contact the Landlord or the property manager as soon as possible to determine what kind of application, fee and/or financial information they require. While reading the assignment provision you might be surprised to find mention of a Lease Assignment Fee. This is often times a nonrefundable fee that the landlord charges just to consider a lease assignment application, and it commonly ranges between 0-$2,5000.00, depending on the space. Landlords’ are reluctant to waive this fee, so it is best to address the issue in the language of the purchase contract. If you don’t specify who is responsible for the assignment fee, then expect a fight on this issue, or at least some hurt feelings. While you’re at it, make sure you address the issue of deposits. Will the lease deposit remain with the landlord? Will the Seller get a credit? Remember the language of the contract controls, and a new business owner can easily get off to the wrong foot if they have to shell out an extra $10,000.00 in unexpected deposits and assignment fees. Another common surprise that arises with a lease assignment is the Landlord’s demand for a personal guarantee of the lease. That is, the landlord demands that the individuals running a corporation, partnership or LLC personally guarantee the lease. Landlords do this because they know that a properly managed entity can provide liability protection to its owners, thus insulating them from claims for default on the lease. Commercial landlords are savvy, and it is very common that they will require you to personally guarantee the lease. All of these issues can create headaches, but preparing yourself for these hurdles and being proactive should keep the Big Bad Landlord at bay. If not, seek the advice of qualified counsel.